Home Task Management How to use the Template to create a new Project? On the Create New Project pop-up, navigate to Template to add or select the Template from the existing Template as shown in the image below. 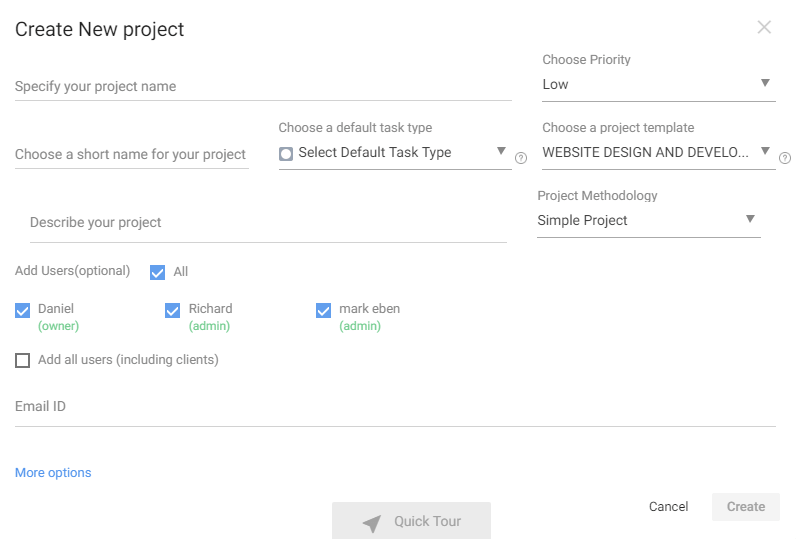 Once you create the Project with the Template, all the existing Task Groups and Tasks will be added to your projects.